27/03/15 -- Soycomplex: Beans, meal and oil all closed lower on the day and a bit lower for the week. After starting the week with decent gains, beans have now slid a little lower in each of the last 4 trading sessions. Production in South America seems to be getting bigger (and it was already predicted to be at record levels) and US farmers are expected to "go large with that" when they begin their 2015 spring soybean planting campaign. Exactly how large they might go will be revealed by the USDA on Tuesday. An increase of 2-3 million acres on last year's 83.7 million is what most people are expecting. Considering that the USDA were only lining up at 83.5 million at their February Outlook Forum AND that they came out with a forecast that, at 81.5 million acres, was in fact more than 2 million on the low side of what eventually got planted in last year's March 31 report, then it seems entirely possible that the USDA may not go "all in" with their soybean acreage estimate quite this early in the game. The new crop soybean:corn price ratio ends the week below 2.3:1 tonight versus 2.4:1 a fortnight ago, continuing to slide into the favour of planting corn. In other news, Coceral forecast the EU-28 rapeseed crop at 21.6 MMT, down more than 10% versus 24.1 MMT a year ago. Strategie Grains however raised their forecast from 21.6 MMT to 21.9 MMT, by virtue of an extra 100 TMT each for Germany (to 5.5 MMT), Poland (2.9 MMT) and the UK (2.3 MMT). The latest commitment of traders report shows managed money sitting on a net short of around 39,000 contracts in beans as of Tuesday night. May 15 Soybeans closed at $9.67 1/4, down 7 1/4 cents; Jul 15 Soybeans closed at $9.72 1/4, down 6 1/2 cents; May 15 Soybean Meal closed at $321.40, down $1.00; May 15 Soybean Oil closed at 30.60, down 57 points. For the week that puts front month beans 6 1/2 cents lower, with meal dipping $2.60 and oil losing 8 points. Corn: The corn market closed virtually unchanged on the day, but higher for the week, continuing to erode into the soybean:corn price ratio. The trade is gearing up for the USDA to predict a near 2 million acre switch away from corn plantings this spring. For the same reasons that they might not see as large a switch away from corn and into beans as described above, at least not at this early stage, then next Tuesday's report might come in a little bearish for corn. A year ago the USDA predicted corn plantings of 91.7 million acres, which ultimately proved to be more than a million too high. It may take until the June plantings report for the USDA to get a better handle on what has/will really go into the ground. Elsewhere, Safras e Mercado increased their forecast for the Brazilian corn crop by 1.2 MMT to 75.9 MMT, which is now 0.9 MMT higher than the USDA's estimate. The Argentine corn harvest is said to be around 7.5% complete versus 5.6% a week ago and 10% done a year ago. Coceral estimated the EU-28 corn crop to fall more than 10% this year to 66 MMT. Output in Europe's largest producing nation, France, is seen almost 8% lower at 15.68 MMT. Production in Romania will decline more than 14% to 9.82 MMT and output in Hungary will slide 18% to 7.43 MMT, they predict. FranceAgriMer said that corn planting in France is yet to really get going. Planting is just 1% complete in the Poitou-Charentes region. Crude oil slid more than $2.50/barrel today on an apparent easing of tensions in Yemen, but was still more than $2/barrel higher for the week. South Korea's KFA bought 60,000 MT of optional origin corn for November delivery in a tender. May 15 Corn is at $3.91, down 1/4 cent; Jul 15 Corn is at $3.99, down 1/4 cent. For the week, May 15 corn was 6 cents higher. Wheat: The wheat market closed higher on the day, but lower for the week. US wheat export sales of barely more than 100 TMT revealed yesterday were the lowest in more than 25 years, according to Bloomberg. Dollar strength is really hurting US wheat sales, much more so than those for corn or soybeans, with the EU issuing export licences for more than seven times the volume of the US this past week. US winter wheat conditions on the Plains aren't great, but what does that matter if nobody but the US wants US wheat anyway? The fact that managed money is already net short around 66,000 Chicago wheat contracts is about the only other supportive factor around at the moment for US wheat. Next Tuesday's USDA acreage report is expected to predict a US all wheat acreage of around 55.7 million for the 2015 harvest, down more than a million from 56.8 million a year ago. The USDA's take on the 2014 planted area this time last year ultimately proved to be a million too low as they lined up at 55.8 million back then. Europe is seen producing less wheat, corn and barley in 2015, according to Coceral. Large carryover stocks from last year's bumper production will still keep European sellers aggressive next season though, helped by the weak euro and nearby proximity to North African and Middle Eastern buyers. 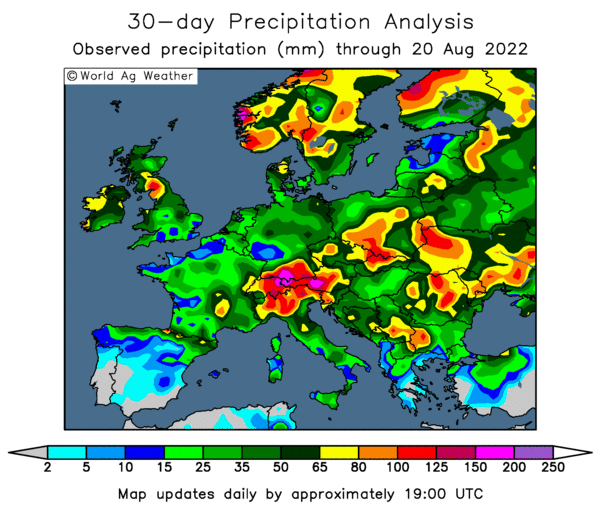 There's talk of India having to import wheat after late season heavy rains and hail have had a negative impact on the quality (and possibly quantity) of their crop this year. Russia said that early spring plantings there were 1.6% complete on 840k ha. There's talk of Russia's President Putin holding a meeting on Monday to discuss spring sowing aid. May 15 CBOT Wheat is at $5.07 3/4, up 8 1/2 cents; May 15 KCBT Wheat is at $5.53, up 10 cents; May 15 MGEX Wheat is at $5.75, up 11 3/4 cents. For the week that still puts CBOT wheat 22 1/4 cents lower, with KCBT down 16 1/2 cents and MGEX losing 14 1/2 cents. 27/03/15 -- EU grains closed mixed on the day, but lower across the board for the week, as thoughts turn to new crop. At the finish, May 15 London wheat was GBP2.10/tonne easier at GBP121.55/tonne, May 15 Paris wheat was up EUR0.25/tonne at EUR188.75/tonne, Jun 15 Paris corn rose EUR0.50/tonne to EUR162.50/tonne and May 15 Paris rapeseed fell EUR3.75/tonne to EUR363.75/tonne. For the week, that puts London wheat down GBP1.85/tonne (-1.5%), with Paris wheat falling EUR8.00/tonne (-4%), corn dropping EUR1.25/tonne (-0.8%) and rapeseed losing EUR7.50/tonne (-2%). It's interesting to see Paris wheat as the biggest loser there, considering the strong export demand for that grade of wheat. Brussels confirmed last night that they'd issued a further 721 TMT of soft wheat export licences, taking the season to date total to 24.4 MMT, up 7.5% on this time last year. Algeria were said to have bought 450 TMT of optional origin wheat in a tender, which is widely believed to most likely be French material. The HGCA meanwhile raised their forecast for the UK's 2014/15 exportable wheat surplus by more than 400 TMT to 3.87 MMT, a more than threefold increase on a year ago. Carryover into next season looks certain to be very high, given that the UK had only exported a little over 1 MMT of wheat by the end of January (the most recent figures available). It's the GBP8.75/tonne premium on offer between old crop May 15 and new crop Nov 15 that's providing the incentive to carry UK wheat, even if that is down a little on a week ago when the differential was GBP9.60/tonne. You'd probably have to expect that trend to now continue to narrow. Coceral forecast the 2015 UK wheat crop to fall 12.8% to 14.4 MMT. They've got plantings at 1.892 million ha, which is probably about right, and towards the middle of the HGCA's suggested 1.8 million and Origin's 1.95 million. UK yields will fall to 7.61 MT/ha this year, down 11% from last year, they estimate. They see the UK barley crop down 8.6% to 6.4 MMT and the domestic OSR crop to fall 11% to 2.23 MMT. Production of wheat, barley, corn and OSR is seen lower in many other of the major EU countries too, with the exception of France (soft wheat +1.6% and barley +4.5%), Spain (soft wheat +3.8%) and Denmark (wheat unchanged from a year ago). Germany's soft wheat crop will fall 8.9%, with barley production down 9.7% and OSR output dipping 15.3% this year, they say. Poland will see it's soft wheat crop fall 8.6%, whilst barley production will be down 3.1% and that of OSR declining by 10.1%. 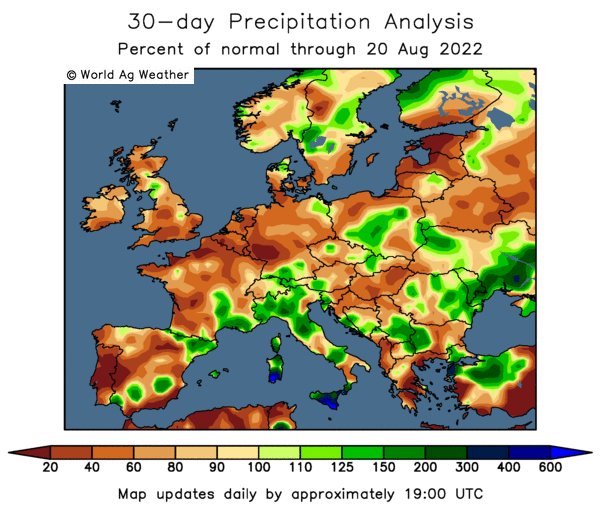 Meanwhile the Czech Republic will see double digit percentage losses on all three of those crops, whilst Romania's soft wheat, corn and OSR crops will all fall between 10-15%, and Hungary's soft wheat and corn output will post declines of 15-18%. French crop conditions for winter wheat were estimated at 90% good to very good by FranceAgriMer, down a point on a week ago, but up 14 points compared to this time last year. Winter barley was also rated 90% good to very good, unchanged on a week ago and 17 points up on last year. Whilst French crop conditions are therefore significantly ahead of a year ago, crop maturity is not. FranceAgriMer say that only 48% of winter wheat is currently displaying an ear of at least 1cm in length, which is 20 points below this time last year. 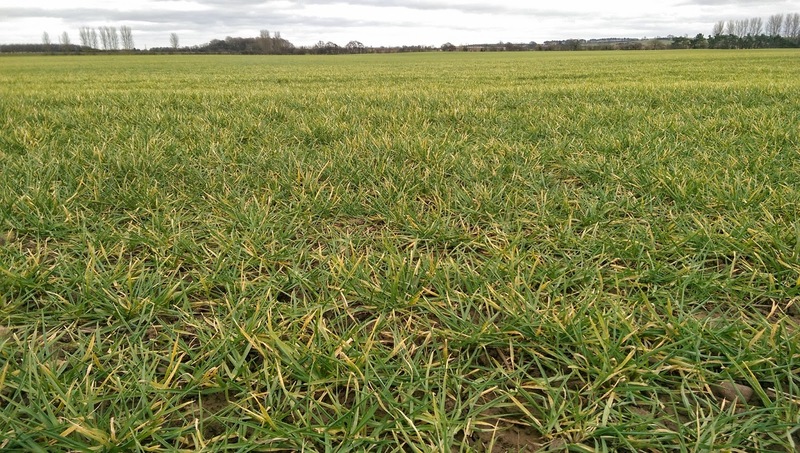 Winter barley at the same stage is 46% versus 67% a year ago. 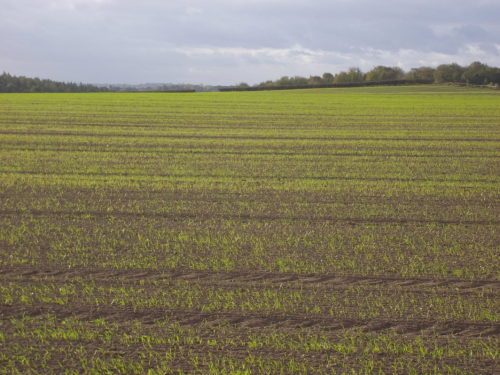 The HGCA said that spring barley planting in the UK is about 40% done, and that spring oats and wheat are about 50% sown. Spring OSR planting is only just getting going at 3% complete. Winter crop conditions in the UK are generally pretty good, and crop growth is "fairly normal", they added. 26/03/15 -- Soycomplex: Beans closed mostly a little lower for a third day in a row with generally better than expected yields being reported out of Brazil and Argentina. Weekly export sales of 505,800 MT for 2014/15 were pretty good, being up 48 percent from the previous week and 54 percent above the prior 4-week average. There were also sales of 220,200 MT for 2015/16. Exports of 760,700 MT were also decent, being up 19 percent from the previous week. Total commitments for this season are now 99.5% of the USDA target. Old crop meal sales were strong at 224,300 MT, as too were exports at 304,000 MT. These were up 38 percent from the previous week and 25 percent above the prior 4-week average. The USDA also announced 280,000 MT of US beans sold to unknown for 2015/16 shipment under the daily reporting system. AgroConsult estimated Brazil’s 2014/15 bean crop at 95.8 MMT (record), up from a previous estimate of 94.7 MMT. The IGC trimmed their forecast for the Brazilian soybean crop from 93.5 MMT to 93.3 MMT, and pared Argentina back from 57.0 MMT to 56.5 MMT. That takes world production down by 1 MMT from last month to 314 MMT, although that's still a record crop and one that is 10% higher than last year. On March 31 there will be a national strike comprising of the entire transport sector in Argentina, including truckers. The Argentine Ag Ministry estimated the soybean crop there at 57 MMT, unchanged from their previous figure. May 15 Soybeans closed at $9.74 1/2, down 4 1/4 cents; Jul 15 Soybeans finished at $9.78 3/4, down 3 3/4 cents; May 15 Soybean Meal settled at $322.40, down $2.10; May 15 Soybean Oil ended at 31.17, up 13 points. Corn: The corn market ended around 3-4 cents lower. Weekly export sales came in at 435,000 MT for 2014/15 - down 13 percent from the previous week and 29 percent below the prior 4-week average. Interestingly, China showed up as a buyer of one cargo. "The trade had written off China as a destination for US corn because of contractual issues associated with GMO corn. The market could be witnessing a break in the stalemate between Chinese buyers and US traders. I wouldn’t argue one cargo is enough to build on though," said Benson Quinn's Brian Henry. There were also sales of 29,000 MT for 2015/16. These sales were in line with expectations of 500-700 TMT. Exports themselves were just over 1 MMT, up 54 percent from the previous week and 4 percent higher than the prior 4-week average. Total commitments for the current season are now 81% of the USDA's target. Crude oil settled at its best levels in 3 weeks on news of Saudi-led air strikes against rebels in Yemen. AgroConsult estimated Brazil’s 2014/15 corn crop at 79.4 MMT versus a previous estimate of 79.0 MMT. The IGC trimmed their forecast for the 2014/15 global corn crop by 2 MMT to 990 MMT, and see production falling nearly 5% to 941 MMT in 2015/16. They cut their forecast for the South African corn crop by 3 MMT to 10 MMT, which now puts them in line with other trade forecasts. Ukraine's 2014/15 corn exports were increased by 0.5 MMT to 18.5 MMT, and so too were those of the US which are now pegged at 45.0 MMT. South Korea's KFA cancelled a tender to buy 65,000 MT of optional origin corn. May 15 Corn closed at $3.91 1/4, down 3 3/4 cents; Jul 15 Corn settled at $3.99 1/4, down 3 3/4 cents. Wheat: The wheat market closed sharply lower. Paltry export sales of only 102,300 MT for delivery in 2014/15 – a marketing-year low – was the catalyst. There were down 74 percent from the previous week and 75 percent below the prior 4-week average. Exports of 498,100 MT were OK, and a little bit above the recent weekly average. The IGC forecast lower wheat usage in animal feed, and therefore increased 2014/15 world wheat ending stocks from 196.6 MMT to 198.3 MMT. Global production in 2015/16 is seen falling 10 MMT from this season to 709 MMT, and ending stocks next season will dip a little to 196 MMT, they predict. Rusagrotrans said that Russia will export 65% less wheat in March than it did a year ago following the recent introduction of their export duty. Exports in Feb fell 45%, they added. SovEcon increased their forecast for the 2015/16 Russian grain crop from 84 MMT to 93 MMT, although that's still 12 MMT down on last year. The US Drought Monitor report said that 28% of the US High Plains was in moderate to extreme drought, up from 25% a week previously. In the South however, moderate-to-exceptional drought fell to 30% from 33% a week ago. "Very dry conditions presently affect an enormous area of the Great Plains and Midwest, threatening not only for hard red winter wheat, but also corn due to be planted this spring," said Martell Crop Projections. A Dow Jones survey put the 2015 US all-wheat planted area at 55.612 million acres, including 40.578 million acres of winter wheat. That's a very similar number to yesterday's Bloomberg survey. All wheat plantings a year ago were 56.822 million acres. May 15 CBOT Wheat closed at $4.99 1/4, down 19 3/4 cents; May 15 KCBT Wheat finished at $5.43, down 20 cents; May 15 MGEX Wheat ended at $5.63 1/4, down 17 1/2 cents. 26/03/15 -- EU grains closed mixed with May 15 London wheat unchanged at GBP123.65/tonne, May 15 Paris wheat down EUR2.75/tonne to EUR188.50/tonne, Jun 15 Paris corn unchanged at EUR162.00/tonne and May 15 Paris rapeseed up EUR1.50/tonne at EUR367.50/tonne. SovEcon revised their forecast for the 2015 Russian grain crop up from a previous estimate of 84 MMT to 93 MMT, although that's still down more than 11% on 105 MMT last year. The IGC estimated the 2014/15 global grain crop at 2 billion tonnes, down 6 MMT in their previous forecast. 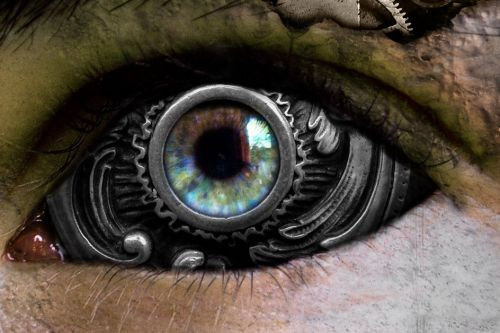 Production in 2015/16 will fall 3.2% to 1.937 billion tonnes, they predict. They see the world 2015/16 wheat crop at 709 MMT, down 10 MMT from this season, and consumption up 3 MMT to 711 MMT. Ending stocks are pegged 2 MMT lower than in the current marketing year at a more than ample 196 MMT. They raised their estimate for the EU 2014/15 wheat crop from 154.9 MMT to 155.6 MMT and lowered industrial usage here from 11.0 MMT to 10.8 MMT, and also cut demand from the feed sector by 1 MMT to 50 MMT. With exports unchanged from a month ago at 32.1 MMT, that increases ending stocks in the EU at the end of the current season from 15.3 MMT to 16.7 MMT, which is almost double the level of a year ago (8.6 MMT). They also increased the size of the EU 2014/15 corn crop from 74.5 MMT to 75.1 MMT, although a similar increase in feed usage means that ending stocks are unaltered at 7.3 MMT. Russia's 2014/15 grain exports were raised by 0.5 MMT to 27.3 MMT, of which wheat will make up 20.3 MMT (unchanged from last month). Ukraine's grain export potential this season was increased by 1.3 MMT to 35.4 MMT, including 11.8 MMT of wheat (unchanged) and 18.5 MMT of corn (up 0.5 MMT). Coceral released their first forecasts for grain production in the EU this year, estimating soft wheat production to fall 6.5% to 138.6 MMT. Speaking at a conference in Ukraine, an FAO agricultural economist predicted that global wheat demand will have increased 12%, and coarse grain usage up by 10%, by 2023. The US will occupy pole position in terms of supplying this demand, with an estimated 31% of the export market in wheat and coarse grains. By 2023 Ukraine will supply 5% of the world wheat trade, and 12% of the global coarse grain exports, he said. 25/03/15 -- Soycomplex: Beans closed a little lower. A Reuters survey pegged the average trade guess for US soybean plantings in 2015 at a record 85.92 million acres, around 2.2 million up on a year ago. That's very close to the average of a Bloomberg survey which was 85.95 million acres. There's still a fairly wide difference of opinion though, with the range of guesses in the latter being 83.10 to 88.00 million. The quarterly stocks estimates average 1.348 billion bushels – the most since 2012 - with the range of estimates being 1.250 to 1.413 billion. CWB estimated the 2015/16 global soybean crop at 299.0 MMT, down 5.1% versus 315.1 MMT in 2014/15. Dr Cordonnier said that the Brazilian soybean crop is 61% harvested nationally, around 4 points behind this time last year. Mato Grosso, the country's largest producing state, is already 90% complete, and Parana, the second largest is 68% done. In the south progress is slower, with Brazil's third largest state of Rio Grande do Sul only 11% complete. Early yields there are very good, and could possibly set a record this year, he said. Early Argentine soybean yields are "outstanding" he adds. Harvesting there is only 1-2% complete so far however. The new crop soybean:corn ratio is down to 2.29:1 tonight, favouring planting corn, weather permitting. Unfortunately the weather isn't permitting at the moment, favouring later planted beans. Tomorrow's weekly export sales for beans are only expected to be around 200-450 TMT as demand continues to switch to South America. Reports suggest that Brazilian truckers are planning more strike action and road blockages next week. May 15 Soybeans closed at $9.78 3/4, down 3 cents; Jul 15 Soybeans closed at $9.82 1/2, down 4 cents; May 15 Soybean Meal closed at $324.50, down $1.80; May 15 Soybean Oil closed at 31.04, down 7 points. Corn: The corn market posted small gains. "Corn posted mixed trade with a firmer bias as new highs for the move posted overnight set the tone. Short covering due to the perception that the funds are still caught a touch too short remains the feature," said Benson Quinn. A Reuters survey estimated 2015 US corn plantings at 88.73 million acres. A Bloomberg survey said 88.83 million, with a range of guesses of 87.0 to 89.9 million. Plantings were 90.6 million last year. The market is conscious that early corn planting in the Deep South is already well behind schedule. A hard cold snap further north offers little prospect for fieldwork to begin in the Midwest either. For quarterly stocks due next Tuesday the average trade guess is just over 7.6 billion bushels from within a range of 7.459-7.800 billion and versus 7.008 billion a year ago. South Africa's CEC estimated the country's corn crop at 9.67 MMT, the smallest since 2007. CWB estimated the 2015/16 global corn crop at 973.5 MMT, down 1.6% versus 989.7 MMT this season. The US Energy Dept reported that weekly ethanol production expanded to 953,000 barrels/day from 947,000 bpd the previous week. 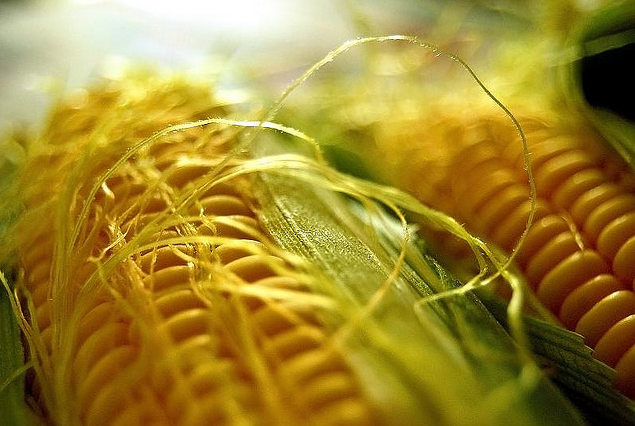 The USDA announced 114,000 MT of US corn sold to Mexico for 2014-15 delivery. Prices are now nudging the $4/bushel level. It will be interesting to see if the market can break through this level and hold, it hasn't managed a close above $4/bushel since Jan 12. "There is also a pretty significant short call position at the 400 strike, which may draw some interest between now and Friday afternoon," said Benson Quinn. Weekly export sales for corn tomorrow may come in at around 500-700 TMT. May 15 Corn closed at $3.95, up 1 3/4 cents; Jul 15 Corn closed at $4.03, up 1 3/4 cents. 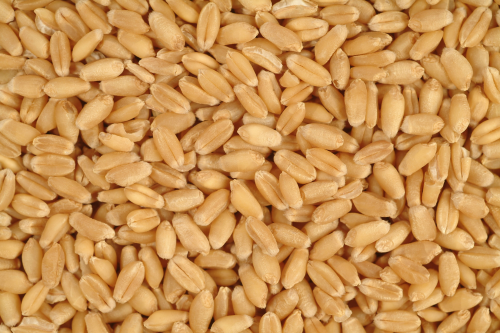 Wheat: The wheat market closed around 1-4 cents lower spread across the three exchanges. A Bloomberg survey puts the US all wheat acreage at 55.670 million acres, from within a range of estimates of 54.950-56.800 million and 56.822 a year ago. Mar 1 stocks are estimated at 1.141 billion bushels, from within a range of 1.083-1.200 billion and 1.057 billion a year ago. China only sold 5.4% of the imported wheat stocks it offered up at auction today, along with 37% of the domestic wheat reserves. The CWB estimated the 2015/16 global wheat crop at 703.4 MMT, down 2.95% from 724.8 MMT last year. They see Canadian production at 28.7 MMT versus 29.3 MMT in 2014/15. They see US exports expanding 12.65% from 24.5 MMT in 2014/15 to 27.6 MMT in the season ahead. The EU will retain top spot in the global wheat export league table though with shipments up from 31.5 MMT this season to 32.35 MMT, for growth of 2.7%. It would seem that both Europe and the US will benefit from reduced production and exports from Canada, Russia and the Ukraine, according to the CWB. Canada's 2015/16 wheat exports will decline almost 11% to 20.75 MMT, they estimate. Russia's spring plantings are 1.4% complete on 731k ha, say their Ag Ministry. Ukraine's early spring grain planting is said to be 30% compete. Iran bought 80,000 MT of German and Black Sea origin wheat in a tender for April shipment. Japan are tendering for 9,590 MT of feed wheat and 75,000 MT of barley in a tender for June shipment. There are forecasts for some much needed rain in some of the drier US HRW wheat areas, although such forecasts have frequently disappointed of late. Weekly export sales for wheat tomorrow are expected to be around 400-600 TMT. May 15 CBOT Wheat closed at $5.19, down 4 1/2 cents; May 15 KCBT Wheat closed at $5.63, down 2 1/4 cents; May 15 MGEX Wheat closed at $5.80 3/4, down 1 cent. 25/03/15 -- EU grains closed mixed, with London wheat higher and the Paris grains lower. 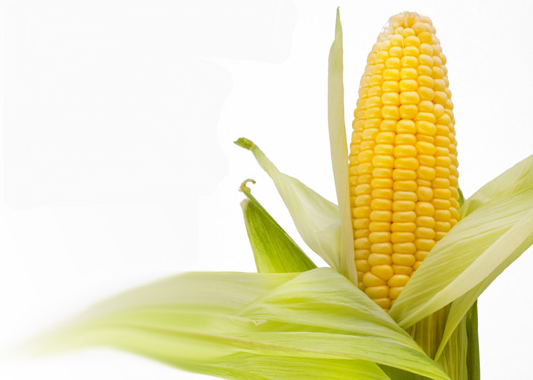 At the finish, May 15 London wheat was up GBP1.05/tonne at GBP123.65/tonne; May 15 Paris wheat was EUR1.25/tonne lower at EUR191.25/tonne; Jun 15 Paris corn was EUR0.75/tonne easier at EUR162.00/tonne; May 15 Paris rapeseed was down EUR4.00/tonne at EUR366.00/tonne. London wheat got a helping hand following the news that UK inflation had fallen to zero, keeping thoughts of interest rate rises on the back burner, and putting the pound under pressure. Sterling is likely to be in for a bit of a bumpy ride in the run up to the general election on May 7. Spring grain plantings in Russia are said to be complete on 731k ha, or 1.4% of plan. Progress in Ukraine is said to be already 30% done. Russia’s Ag Ministry estimated winter grain losses at 16.8%, down from 21% previously. The head of the Russian agrometeorological centre told Bloomberg that 9% of winter grains were in a bad condition versus 3% a year ago. The debate over Russian farmers' ability to fund the spring planting programme continues. Bloomberg reported that farmers face "colossal damage" without timely funding. The government say that the effective loan rate for Russian spring sowing is only 3-7%. Private reports suggest that it is in fact many times this. The Russian export duty on wheat means that intervention purchases are picking up. The government bought 30,510 tons of intervention grain today, taking the total bought since purchases began on Sep 30 to 473,290 MT. That's still well below the government target though. Iran bought 80,000 MT of German and Black Sea wheat for April shipment in a tender. The Canadian Wheat Board estimated the global wheat crop at 703.4 MMT this year, down nearly 3% from 724.8 MMT in 2014. They see no sign of a let up in European wheat exports in 2015/16, predicting these to rise to a record 32.35 MMT versus the estimated 31.5 MMT this season. That would place Europe at the top of the global wheat export table for another year. Ukraine's 2015/15 wheat exports will fall 12% to 9.7 MMT next season, and Russia's will drop a similar percentage to 17.4 MMT, they predict. The Indian Ag Ministry said that this year's expected record, or near record, wheat crop may in fact come in significantly lower than hoped for due to late rain and hail damage immediately prior to harvesting. An area of 12.1 million ha (40%) of the planted 30.6 million ha has been affected, with rains up to 3 times more than normal having fallen between Mar 1-18, they said. I'm a bit late with my reports this morning, apologies. It's my birthday! 24/03/15 -- Soycomplex: Beans closed a little lower. Trade focus is now firmly on next week's USDA planting intentions and quarterly stocks report from the USDA. Dr Cordonnier, in his first estimate for US plantings in 2015, estimated that American farmers would sow 85-86 million acres of soybean this spring/early summer. That would be a new record, and one that is up 1.3-2.3 million acres on last year, although it's lower than Informa's 87.5 million and Farm Futures Magazine's 87.3 million forecasts from last week. Recall that the USDA were only at 83.5 million in their February Outlook Forum, so it may be that the leap from that figure up closer to 87+ million is simply too big for them to take in one big jump at this early stage in the game. We will know next week. Very early corn planting in southern states is well behind normal for this time, which may mean ultimately more beans getting planted than originally intended. As far as quarterly stocks go, the average trade guess for those as of March 1 is 1.348 billion bushels, according to a Bloomberg survey. "There is talk of Brazilian truckers reorganising their coup. Short futures position holders may be giving it some respect. I doubt the cash trade in the US or Brazil has much interest this go around," said Benson Quinn. Their harvest is now well past halfway done, and yields aren't disappointing, whilst early Argentine yields have been impressive too, they add. South America's much talked about huge soybean crop looks like it is a reality. That makes prices continuing to nudge $10/bu look high, especially with US growers also looking set to "go large" with their plantings this year. May 15 Soybeans closed at $9.81 3/4, down 1 3/4 cents; Jul 15 Soybeans closed at $9.86 1/2, down 1 1/2 cents; May 15 Soybean Meal closed at $326.30, down $1.00; May 15 Soybean Oil closed at 31.11, down 4 points. Corn: The corn market closed around 3 cents higher. "Today’s strength in corn seemed to be a function of the technicals in the corn market. Funds are estimated to be short corn at the moment and short covering was assumed the catalyst for corn’s most recent rally," said Benson Quinn. Dr Cordonnier pegged US 2015 corn plantings at 89 million acres, down 1.6 million on a year ago. That's not far away from Informa's 88.5 million acres and Farm Futures Magazine's 88.34 million acres from last week. Wet weather is delaying early corn planting in the south. Texas is only 14% complete versus 19% a year ago and 28% on average at this time. Louisianna is only 1% done versus 17% a year ago and 48% on average. They haven't even started in Arkansas which was 8% complete a year ago and is normally 11% done by now. Based on tonight's closes the Nov 15 soybean: Dec 15 corn ratio is down to 2.3:1 versus 2.4:1 at the beginning of last week, which may be favouring a bit more corn to get planted, weather permitting. US growers will be conscious though that corn is a more input hungry crop, and some may be looking to cut their costs a little in the 2015/16 crop year. Further north, the weather isn't yet showing any signs of aiding early fieldwork. "Nebraska, Iowa, Wisconsin and Minnesota are particularly dry, reporting soil moisture deficits of 1.5 -2.5 inches in the recent 45 days. With warming temperatures in spring, rainfall typically begins increasing. Very generous spring rainfall would be required to completely replenish dry fields. Corn planting is not due to begin until late April. Midwest temperatures have fluctuated wildly in recent weeks. February was very cold, among the lowest 10% on record. As a result, deep-penetrating frost developed on corn farms, without sufficient snow to insulate fields. Midwest cold is expected to continue in the upcoming with temperatures 5-10 F below average," say Martell Crop Projections. The average trade guess for March 1 US corn stocks is 7.609 billion bushels, according to a Bloomberg survey. May 15 Corn closed at $3.93 1/4, up 3 cents; Jul 15 Corn closed at $4.01 1/4, up 3 1/4 cents. Wheat: The wheat market closed lower across all three exchanges in a correction from the recent rally. The fact that Kansas good to excellent wheat ratings were unchanged week on week, and that winter wheat in Colorado, Oklahoma and Texas showed an improvement was seen as a bearish surprise. The US crop isn't out of the woods yet though, with sub-zero temperatures on the cards over the next few days as the jet stream carves out a deep, cold trough over the eastern half of the United States, forecast Martell Crop Projections. Dryness also remains an issue. Oman were said to have bought one cargo of Russian wheat for July-August shipment. Algeria are tendering for 50,000 MT of optional origin wheat for July shipment. The USDA's FAS in South Africa estimated that the country would plant no more than 450,000 ha of wheat for the 2015/16 crop, a record low, as growers turn to other more profitable crops. They forecast imports next season rising to 1.9 MMT. Russia, Ukraine and Germany are the main wheat exporters to South Africa, so those three countries stand to benefit the most. South Africa imported 1.7 MMT of wheat in 2013/14, of which 810 TMT came from Russia (48%), 373 TMT from Ukraine (22%) and 179 TMT from Germany (11%). UkrAgroConsult estimated Ukraine’s 2015 wheat crop at 20.6 MMT, down 8.4% from 22.5 MMT in 2014. The USDA attaché in the Philippines estimated the country's 2014/15 wheat imports at 3.95 MMT, up 13% from a year previously. These will rise to around 4.0 MMT in 2015/16, they said. There's much debate over the health, or otherwise, of Russian and Ukraine winter grains as the crops emerge from dormancy. There's also lots of speculation regarding farmer access to credit, and their ability to successfully fund the spring planting campaign. Russian seed prices are said to be 40-60% higher than they were 12 months ago, with agrochemical prices up 40-50% and fertiliser levels running around 45% higher. Russian short-term loan interest rates are at least 22% versus 12% a year ago. May 15 CBOT Wheat closed at $5.23 1/2, down 10 1/2 cents; May 15 KCBT Wheat closed at $5.65 1/4, down 9 1/4 cents; May 15 MGEX Wheat closed at $5.81 3/4, down 8 1/4 cents. 24/03/15 -- EU grains closed mostly lower, seemingly taking a little breather after prices have risen 8% in Paris wheat in little more than 2 weeks. At the finish, May 15 London wheat was GBP1.50/tonne easier at GBP122.60/tonne, May 15 Paris wheat was down EUR3.00/tonne at EUR192.50/tonne, Jun 15 Paris corn fell EUR0.50/tonne to EUR162.75/tonne and May 15 Paris rapeseed dipped EUR1.50/tonne to EUR370.00/tonne. 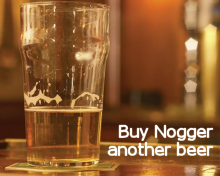 Market attention is now turning to new crop. Yesterday's MARS yield estimates suggest lower 2015 production in most European countries this year. If we match their yield figures with the HGCA's area estimate then the UK is in for a 2015 wheat crop of around 14.5 MMT this year. That would be a near 12.7% fall on production last year, if correct, although many consider that the HGCA are possibly a bit low with their wheat area forecast this year. 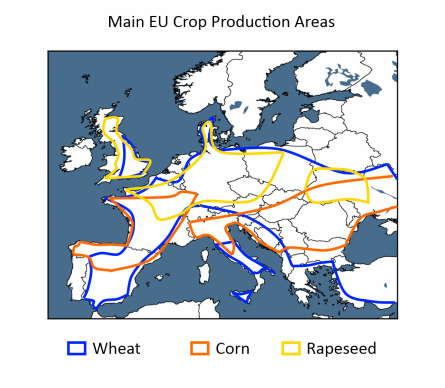 Using Origin Enterprise's area figure of 1.95 million ha, then the UK will produce a wheat crop of 15.75 MMT, a more modest 5% fall compared with 2014. I'd have to say that this is more like the sort of ballpark that I'd be in at the moment, although there's still a long way to go to the finishing post just yet. The HGCA's winter barley area estimated, teamed up with MARS's yield figure, would give us a UK winter barley crop of 2.8 MMT versus around 3 MMT last year. On OSR a combination of the two estimates would suggest a winter OSR crop of 2.5 MMT. That seems like it could be significantly too high to me. Both the HGCA's area forecast and the MARS yield estimate are both too high to my mind. MARS also forecast significant reductions in yields of wheat and barley in Ukraine this year, with the former dropping 10.6% and the latter by 19.1% compared with a year ago. UkrAgroConsult meanwhile today predicted the Ukraine corn area to decline 10% to 4.4 million ha, with output falling 11.2% to 23.0 MMT this year. They also see wheat production in the war-torn country down by 8.4% to 20.6 MMT. Early spring planting in Russia has been completed on 663k ha, or 1.3% of plan, according to the Ag Ministry there. Reports suggest that winter crop conditions in the important Volgograd region are rated 40% in poor condition, with only 20% of the crop described as "good". Russia's two largest agricultural lending banks say that they've increased lending to fund spring plantings by just 1.2% this year. This is a very low rate of increase given the plunge in value of the rouble and the rising rate of inflation. The cost of seed, fertiliser and herbicides/pesticides in Russia are said to be up by 40-60% compared with 12 months ago. Few "ordinary" farmers can come up with the collateral to get a loan from the bank, despite government assurances that credit is available at special discounted rates to fund spring plantings, and those that can get a loan are being asked to pay around 22-27% interest, which is around double the rate of a year ago. This would suggest that many winter crops that are in trouble may simply be left to their own devices, rather than being ripped up and re-planted. It might also suggest lower spring acreage than the government currently predict, and certainly lower yields as a result of reduced fertiliser/agrochemical applications. Algeria are tendering for 50 TMT of optional origin new crop wheat for July shipment. Oman are in the market for 60 TMT of new crop Russian/German wheat for July/August delivery. Is New Crop London Wheat Too Dear, Or Paris Wheat Too Cheap? 24/03/15 -- It is interesting to see the London wheat market continuing to offer a robust premium of GBP10/tonne currently to carry old crop May 15 into new crop Nov 15. Yet the French market puts new crop Dec 15 Paris wheat at a small EUR1.50/tonne discount to nearby old crop May 15. That means that whilst Paris milling wheat is a premium of around GBP17.50/tonne, or 14%, to London feed wheat on the old crop, there's only an GBP8.50/tonne, or 6.4%, differential on the new crop. What's the "normal" premium for Paris wheat over London wheat I hear you ask. Of course that depends on a lot of things, like the quality and size of both crops in any given year, plus of course the relative strength (or otherwise) of the pound versus the euro. If only we knew somebody stupid enough to go back over the last five years say, and do all those calculations for us, that would be info worth having wouldn't it? Well luckily we do, I am Spartacus! Based on prices and the exchange rates prevailing as of Nov 1 in each of the last five years, the premium held by Paris wheat over London was 14% in 2014; 7% in 2013; 2.3% in 2012; 9% in 2011 and 13% in 2010 - pretty diverse range, and one with an average of 9%. French wheat production has been consistently around 38-40 MMT across the entire period, volume hasn't been a problem for them since 2007. So, in Nov 2014 the fact that French wheat commanded a large 14% premium over London wheat, we can I think attribute directly to the fact that a much larger proportion of the French crop last year wasn't up to milling specification. In Nov 2013, we had a decent enough quality crop in the UK, but overall volume was very low due to reduced plantings caused by the appalling weather at planting time. That resulted in French wheat running at 7% over the London market. Back in 2012, both quantity and quality were a problem for the UK (specific weights averaged below 70kg/hl you may recall), resulting in London wheat running at the smallest to the French market of all - the UK crop was so bad it even struggled to make normal feed wheat spec that year! Both 2010 and 2011 were pretty good years for quality and quantity in the UK, seeing the premium for French wheat at Nov 1 running at 9% in 2011 and 13% in 2010 - the latter being when the market was abuzz with news of Russia's export ban and spec money was flooding into grains with gay abandon as the London market was en-route to GBP200/tonne for the first time in its history. What, if anything, does all this tell us? Well, the current 6.4% difference between London and Paris wheat in new crop has only been lower once in the last five years come Nov 1 - and that was in the complete all round disaster year (as far as the UK crop was concerned) of 2012. Either new crop London wheat is over valued, or Paris wheat is too cheap, but which is it? Barring the UK wheat crop turning into another complete crock of the brown smelly stuff this year, which I'd suggest nobody is currently predicting, selling Nov 15 London wheat and buying Dec 15 Paris wheat is probably worth a punt at the very least. 23/03/15 -- Soycomplex: Beans closed around 8-10 cents higher, helped by the weaker US dollar. Weekly export inspections of 519,464 MT were relatively "ordinary" and appear to confirm that demand is finally switching to Brazil. That was down from 584,532 MT last week and below 736,520 MT for same week a year ago. Still, US exporters have already shipped 90% of USDA’s target for the year. China reported Feb soybean imports (traditionally a quiet month) at 4.26 MMT, but still down 11% from Feb 2014. Argentine markets are closed today and tomorrow for a holiday. South Korea's NOFI were said to have bought 55,000 MT of South American soymeal for September shipment. Ag Canada forecast this year's Canadian rapeseed crop at 16 MMT, unchanged from previously and up 400,000 MT versus a year ago. MARS forecast EU rapeseed yields to fall 9.4% this year, with German yields down 14.1% and those in Hungary set to slump more than 20%. The trade is now looking to next week's planting intentions numbers from the USDA. Last year's US soybean area was 83.7 million acres. The trade is forecasting this rising to a record 87.0-87.5 million this year, although the USDA actually went for a small decline to 83.5 million in their February Outlook Forum. Also due on Mar 31 are the quarterly stocks numbers. 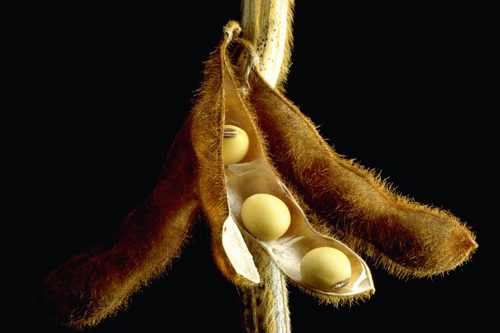 May 15 Soybeans closed at $9.83 1/2, up 9 3/4 cents; Jul 15 Soybeans closed at $9.88, up 10 cents; May 15 Soybean Meal closed at $327.30, up $3.30; May 15 Soybean Oil closed at 31.15, up 47 points. Corn: The corn market ended around 5 cents higher as the US dollar fell to its lowest level since the first week in March. US weekly export inspections of 994,666 MT were also friendly being well above the previous week. US exporters have now shipped 47% of the USDA’s target for the year. Typically though that would be around 52% normally at this time. Sorghum shipments remain strong, especially into China as a corn replacement. These are already 71% of USDA’s target for the year versus 55% typically at this time. Chinese Customs data shows February corn imports of 574,000 MT from Ukraine, and only 13,600 MT from the US. That means that around 95% of China's corn imports were of Ukraine origin last month, and that these were nearly three time the size of imports from Ukraine a year previously. Russia said that they exported 531 TMT of corn in the Feb 1 - Mar 18 period, which is 34% less than a year ago. Their corn exports so far this season are a little under 1.8 MMT. Ukraine's corn exports meanwhile are well in excess of 12 MMT so far. The US attaché in South Africa is now forecasting their corn crop at only 10.4 MMT, more than 1 MMT below the official USDA estimate of 11.5 MMT. Zambia said that they plan to export 800,000 MT of white (food grade) corn to neighbouring countries after producing their largest ever harvest. MARS forecast EU-28 corn yields to decline 4.3% to 7.19 MT/ha this year. Trade ideas for next week's US corn planting intentions are around 88.0-88.5 million acres versus 90.6 million a year ago. May 15 Corn closed at $3.90 1/4, up 5 1/4 cents; Jul 15 Corn closed at $3.98, up 5 1/4 cents. Wheat: The wheat market closed higher, but at only around the middle of the day's trading range. The trade remains concerned over US winter wheat conditions, especially with the fund community having built up a sizeable short position in Chicago wheat. "Dry field conditions are a threat to the US winter wheat yields for the 2015 harvest, as 3 of the 4 leading wheat states are struggling from drought. A 1.8 inch moisture deficit has built up in central Kansas in recent weeks, while Oklahoma has received just 20-40% of normal rainfall over the past 45 days. These are the top 2 bread wheat states making up 54% of hard red winter wheat all together," said Martell Crop Projections. There's also now the threat of sub-zero temperatures to hit the central and part of the southern Plains later this week. Minneapolis (spring) wheat markets thus posted less impressive gains that the winter wheat markets of Chicago and Kansas today. Kansas wheat was rated 41% good to excellent today, unchanged from a week ago. Weekly US all wheat export inspections of 511,069 MT were fairly respectable. Russia said that it had exported 829 TMT of wheat since the export duty was introduced on Feb 1, which is 34% down versus the same period a year ago. Bangladesh are in for 100 TMT of wheat. There are some reports of significant damage being done to Indian wheat, with heavy rains and hail flattening crops just prior to harvesting. 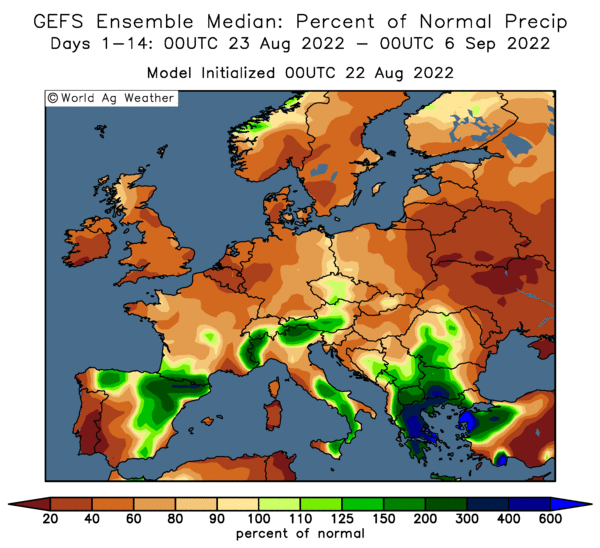 MARS forecast EU-28 soft wheat yields down 4.8% at 5.29 MT/ha this year. Ag Canada is projecting 2015/16 wheat production there at 29.5 MMT, which is down a little from previous forecasts. May 15 CBOT Wheat closed at $5.34, up 4 cents; May 15 KCBT Wheat closed at $5.74 1/2, up 5 cents; May 15 MGEX Wheat closed at $5.90, up 1/2 cent.